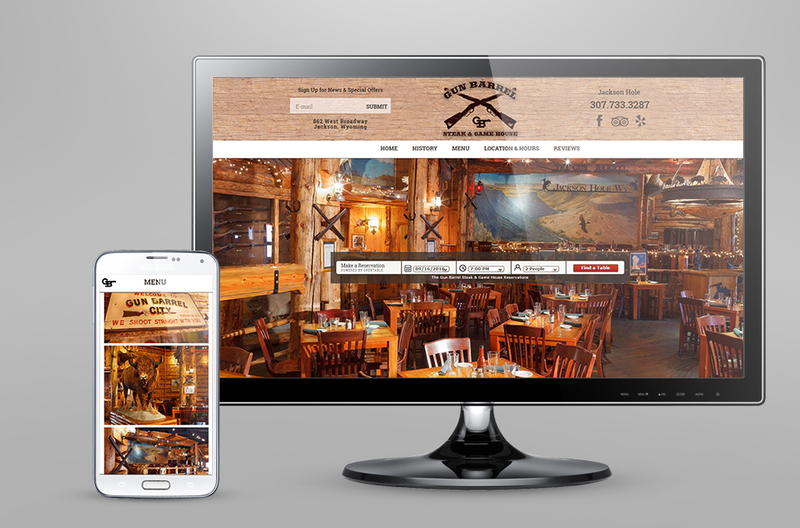 Gun Barrel in Jackson Hole, Wyoming is locally owned and operated since 1993, their location was previously the Wyoming Wildlife Museum & Taxidermy. 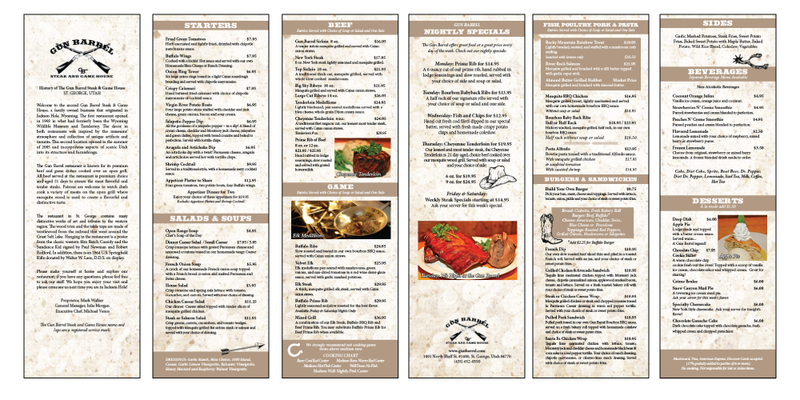 The second Gun Barrel location was opened in St. George, Utah in 2005. With both locations Gun Barrel wanted to remain consistent from one another but wanted to also reflect an uniqueness between the two restaurants. 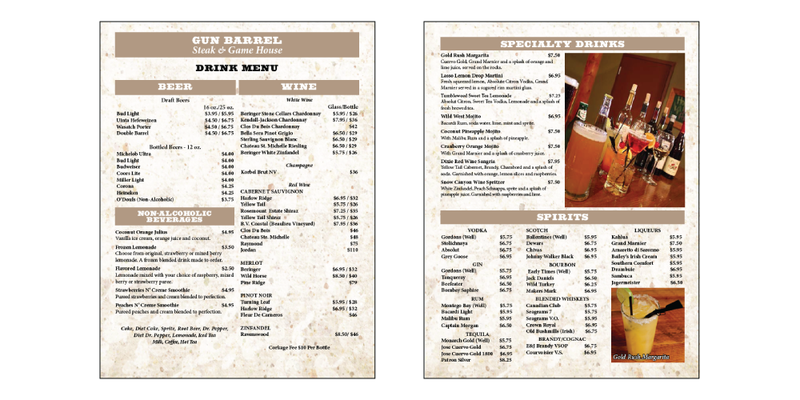 With a one-pager, both Gun Barrel’s have information available to their patrons from making a reservation online, reviewing their menus, seeing their daily specials and reading customer’s reviews.